The Men’s Section is organised by the Men’s Captain; the aim is to provide golfing opportunities for players of all abilities and aspirations. Throughout the year a variety of competitions are organised, ranging from individual qualifiers to team competitions, with a variety of formats. For the keen competitive golfer the club enters all County competitions, including the Palairet Trophy (net), and the Parker Trophy (gross). 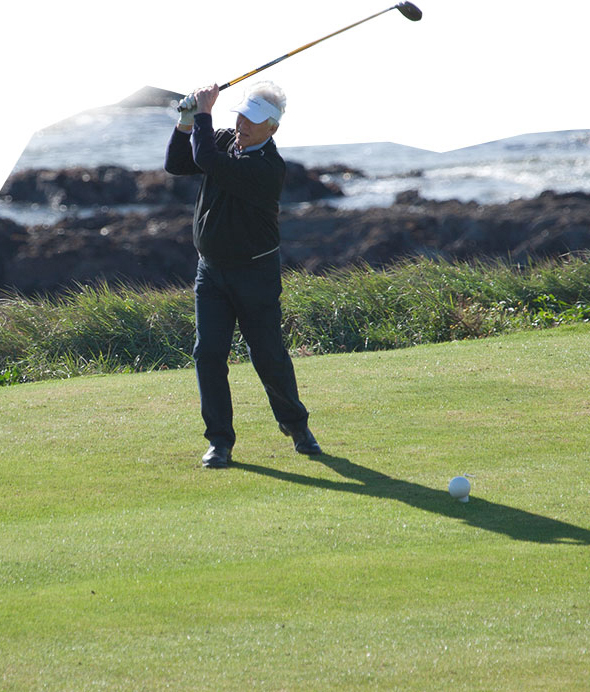 The club also competes in the Dartmoor League; an inter-club competition for players of handicap 6-18. A programme of inter-club friendly matches are also played against local clubs, suitable for players of all standards. There is also the opportunity to link with the Ladies’ Section to play mixed golf against local clubs, and for regular mixed club competitions. On Friday evenings a ‘6-hole shootout’ is played. Starting at 4.30pm, enter on-line, and play holes 1-6, followed by the prize presentation, with food and beverages, in the clubhouse. If you are looking for a partner to play golf with there are two roll-ups organised, on Tuesdays and Thursdays. Just turn up and you are guaranteed a warm welcome and some friendly golf. Thurlestone is a very friendly and relaxed club that welcomes all players; if you have any queries please contact the club office for more details, or the Men’s Captain.